Grimm alum Elizabeth Tulloch was announced to be the latest Lois Lane shortly before the various Arrowverse series began their seasons. Since that announcement, though, the Arrowverse cast and crew have been quiet about how their Lois will fit into their multiverse and what she’ll look like besides a candid behind-the-scenes photo from Hoechlin. The first official look suggests quite a bit more about Lois and her relationship with Superman. [Superman and Lois] obviously have a very strong relationship that’s been going like that for a while. It’s deeper into the relationship, so there’s that comfortability factor and they know each other so well. They really kind of have a life together. 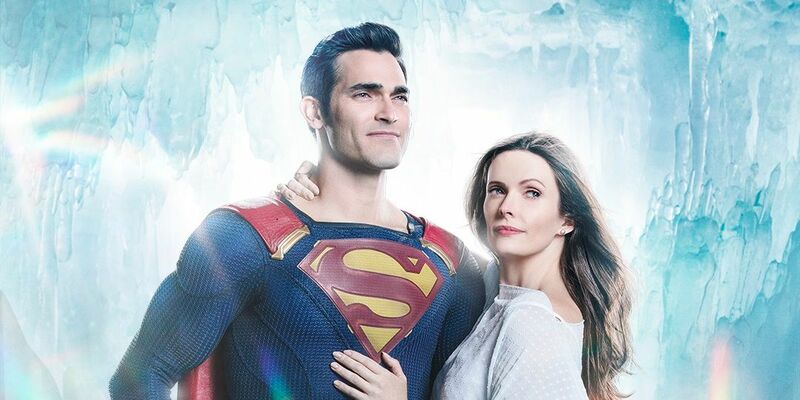 Hoechlin’s quote puts the first look in a greater context as it appears Superman and Lois are in the iconic Fortress of Solitude. While it’s possible this is the very interesting locale they appear in in the Arrowverse it’s not all that likely. The Fortress of Solitude has been seen multiple times in Supergirl and even predates Hoechlin as Superman. That doesn’t mean that Fortress of Solitude won’t factor into “Elseworlds,” though. It would be a good center of operations of the Arrowverse heroes and newcomer Batwoman to meet up. 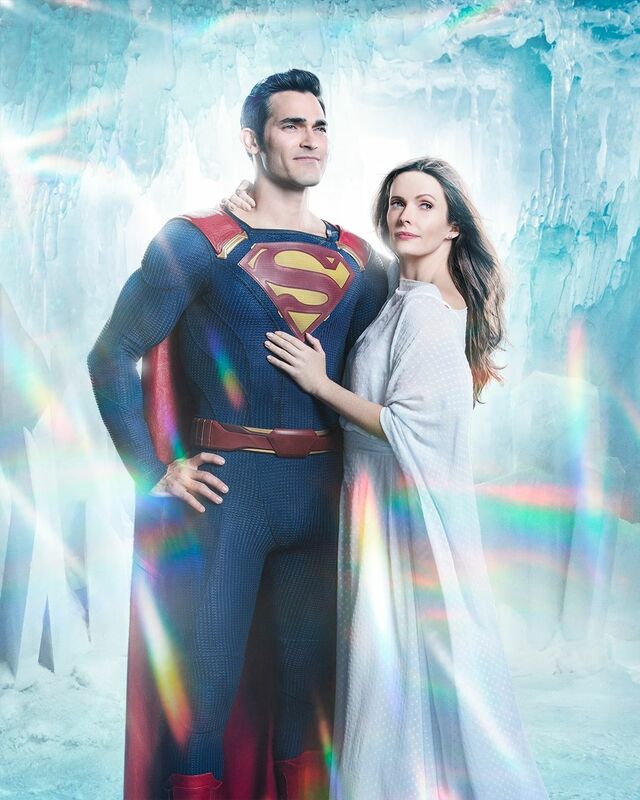 The more intriguing thing about the first official look at the Arrowverse’s Superman and Lois is their outfits. Superman, obviously, isn’t all that surprising. Hoechlin is wearing Superman’s classic red and blue outfit that he’s worn since his first Supergirl appearance and not the black suit that he’ll wear at some point in the “Elseworlds” event. Lois, on the other hand, is wearing a flowing white dress that, based on Supergirl‘s history, looks like it could come from Krypton. With Hoechlin’s comments about the status of Superman and Lois’ relationship and the fact that previous crossover ended with a double wedding it’s very possible that “Elseworlds” could feature the marriage of Lois and Clark. This is just speculation, but the first official photo does look like it could be an engagement picture of the famous couple. Whether Lois and Clark get married or not in the crossover, the first official look does wipe away some of the mystery of “Elseworlds.” Tulloch as Lois Lane joins Ruby Rose as Batwoman and LaMonica Garrett as The Monitor becoming the third character to get an official first look of their Arrowverse character before the crossover. Still, a lot more has to be revealed during the event. Arrow star Stephen Amell’s wife Cassandra Jean Amell will be playing Mr. Freeze’s wife Nora. DC Comics villain Psycho-Pirate will also be introduced, as will a another baddie with a suspiciously unrecognizable name played by Jeremy Davies.